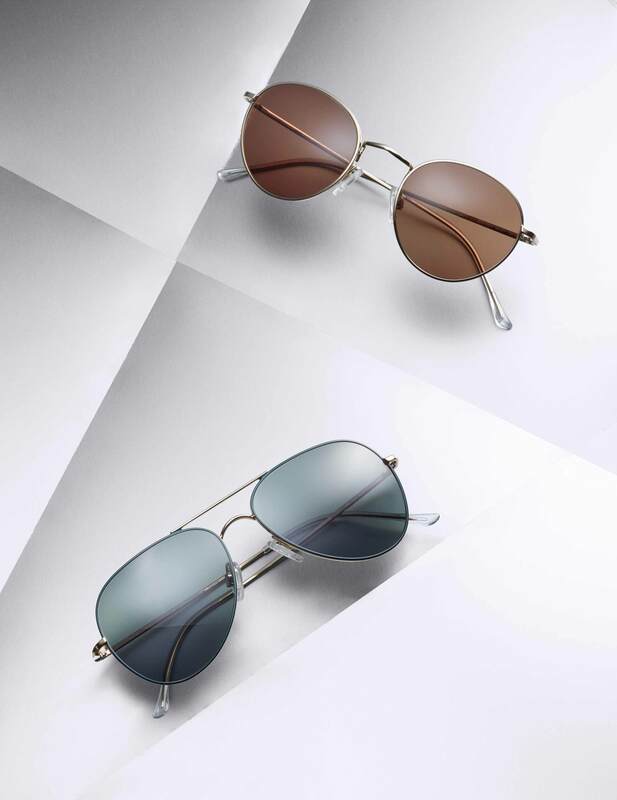 More than 100 years of Italian eyewear tradition return in a contemporary offering: With the lightweight i leggeri collection, GERMANO GAMBINI blends proven craftsmanship with state-of-the-art manufacturing technologies and of-the-moment designs. All in a distinctly Italian format. Effortless, chic, playful – always cool and fashionable. Our spectr Collection Shoot presents highlights from the i leggeri line, supplemented by insights from Andreas Malathounis of exclusive distribution outfit iBrands about the philosophy of the brand and the road ahead. The Gambini family’s eyewear legacy dates back to the year 1912 in Bologna, Northern Italy: Gilberto Gambini opened a photo and optical store that would not only endure over the years – despite economic crises and two world wars – but also remain under family ownership. In the early 1960s, a charismatic personality took over the reigns of the optical kingdom that consisted of four individual stores across Bologna at the time: Heir to the throne Germano Gambini not only represented his country as a pro basketball player and national team member for many years – his calling card was the number 13 on his team jersey – but also a visionary thinker with bold ideas for the optical trade. Even back then, Germano considered glasses to be more than mere visual aids, but blank canvases to be filled with fashion, flair, and personal style. At an early stage, Gambini began importing hand-picked runs of designer sunglasses by Pierre Cardin, and even ended up contributing his own designs (!) to the international trendsetter’s collections. While working on collaborations with eyewear luminaries such as Ferrè, Trussardi and Coveri, he cultivated his own signature design style together with a deep understanding of the processes involved in eyewear manufacturing. As the 1970s rolled around, Gambini was ready to present his bold ideas under a new umbrella, doing things his own way: The germano gambini brand was born – and the founder wasted no time before the first unorthodox designs became the talk of high society around the world. Customer favorites included the Divina Collection marked by a highly feminine form language accentuated by precious Swarovski diamonds. But Gambini’s darling over the years, without a doubt, remained the ultra-light i leggeri collection, showcased here in a contemporary interpretation. Today’s line-up includes prescription frames and sunglasses in men’s, women’s, and unisex designs, as well as children’s models. All frames are crafted from ultra-light acetate cellulose, with the lightest models weighing in at a lofty eight grams. Achieving this incredible feat, the label relies on a material blend known as M49, supplied by traditional manufacturer Mazuchelli, who also offers an entirely biodegradable option. As a world premiere, the current collection goes beyond acetate by adding a few models crafted from ultrathin stainless steel: The Light Metals – i leggeri line consists of 15 prescription frames with a number of different design styles and features, including Windsor rings. Rounding out the offering, six sunglasses feature high-grade, anti-reflective polymer lenses. Light as a feather, the stainless steel frames combine a high level of comfort with a contemporary chic aesthetic. Speaking of “contemporary” – how can a traditional eyewear brand with over a century in the business successfully make the leap into the 21st Century? Our SPECTR interview presents insights from Andreas Malathounis at iBrands Europe, the exclusive distributor for the modern-day iteration of germano gambini. Congratulations on the successful launch of the new collection. Let’s start with the basics: What is the brand philosophy behind germano gambini? It’s all about having the courage to be an individual and cultivate a personal style. Dare to choose a surprising color, an unconventional shape. Experience and explore your own style – or just change radically. The i leggeri collection embodies all these aspects: It is a technically perfect collection down to the very last detail. And at the same time, it’s a unique blend of a refined and modern look. What are the defining characteristics of the i leggeri collection – both from an aesthetic and technical angle? 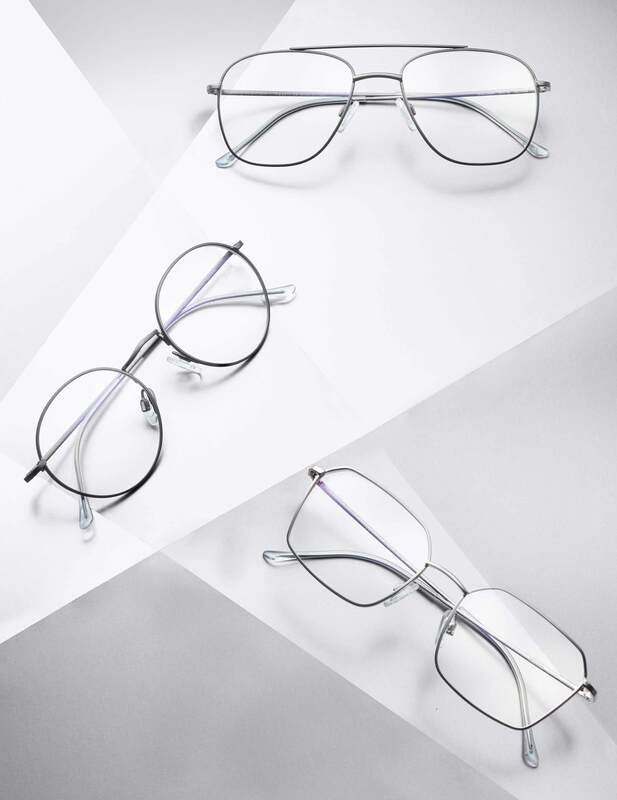 The frames in the i leggeri collection by germano gambini are extremely lightweight, super thin, and highly wearable – and fit right into the spirit of our times. The new line The Light Metals – i leggeri by germano gambini raises the bar with extremely thin and light stainless steel frames. Speaking of stainless steel, what kinds of materials are implemented in the i leggeri collection? Traditionally, the line is more known for plastic frames, right? As the main common denominator, the entire collection sources components and materials that are manufactured 100% in Italy. The production of all acetate models in the i leggeri collection relies exclusively on cellulose acetate produced at the traditional Mazuchelli factory. Our metal frames for the Light Metals collection are completely made from high-grade steel. This makes our entire collection “100% Made in Italy” and our products carry a certified seal of quality. Aside from certification, what sets you apart from your competitors? One of our many USPs lies in the fact that the family tradition has been around since 1912. And Germano Gambini himself was a driving force, an innovator and entrepreneur with deep insights into design, development, and manufacturing. This tradition is carefully maintained today by our production and license partner FaoFlex, a company based in the town of Segusino, Italy. Germano Gambini sounds like a luminary figure. He was a basketball pro, eyewear designer, and also quite ahead of his time in terms of fashion, correct? Yes, indeed. As one of the first people in our business, Germano recognized the importance of fashion in eyewear design. Staying true to this legacy, the brand continues to offer a high quality eyewear collection with perfect price point positioning. Moving such a legacy forward can make it hard to bridge the gap into present day aesthetics. Who handles design at your company and how do you maintain the integrity of germano gambini’s design DNA? We have assembled an in-house design team at FaoFlex, composed of several designers and creatives. As a manufacturer, FaoFlex can build on know-how in eyewear manufacturing and design dating back all the way to 1974. Fabio Stramare, who heads design at FaoFlex, draws inspiration from a wide range of influences from his environment, especially contemporary culture and current events. Ultimately, each new collection and each new frame is a collaborative effort of our entire design team. Why should opticians add germano gambini to their offering? The optical market and opticians in particular have been demanding contemporary eyewear frames with a great price-performance ratio for quite some time now. The germano gambini line checks a lot of boxes at the same time: Variety of designs and models, and a combination of cellulose acetate and stainless steel allow germano gambini to offer added value to independent opticians.